To go from Borussia Dortmund’s reserve team to the proud owner of a 2014 FIFA World Cup winners’ medal within a year is an astounding achievement in itself. Yet to do so having swapped a striker's role for that of a defender in that same time period almost defies belief. 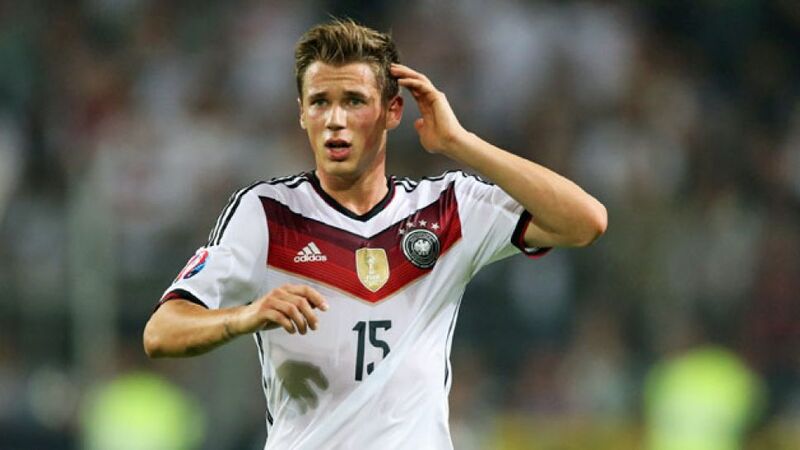 Erik Durm, a model of adaptability, has accomplished all of the above. Born two years after Germany won the 1990 World Cup, Durm made his name in youth football as a prolific striker, and after 11 years with local team SG Rieschweiler, he joined the 1. FC Saarbrücken academy in 2008, where he was top scorer in his first season. His eye for goal attracted the attentions of 1. FSV Mainz 05, and after two years and 13 goals in their reserve team, he signed professionally with freshly-enthroned double-winners Borussia Dortmund in 2012. "When you’re a young player and you get an offer from BVB, you don’t have to think about it for very long," Durm later explained to Ruhr-based newspaper Westfälische Anzeiger, although it was the innovation of his coach Jürgen Klopp proved the biggest driving force in his truly meteoric rise to the top. "I was playing in the reserves one day towards the back end of the 2012/13 season," explained Durm to t-online.de. "Klopp came up to me after training. He said that he could see me as a Bundesliga left-back one day. I agreed with him - partly because I was competing with Robert Lewandowski up front!" After a summer of hard work, Durm was fast-tracked into the senior squad as back-up in his new role. "I had to learn it completely from scratch," he said. "I was a striker for 14 years but I was lucky to have such good role models in Marcel Schmelzer and Lukasz Piszczek at Dortmund. I’m always learning." More honours on the horizon? A near-unprecedented injury crisis forced Klopp to turn to his new full-back sooner than he would have liked, but he need not have worried if the young man was up to the job. Durm made 19 Bundesliga appearances in 2013/14 alongside seven in the UEFA Champions League, showcasing his impressive pace, physicality and versatility and eventually being rewarded with a Nationalelf debut in a 2-2 friendly draw with Cameroon. He was voted man of the match and the following day was selected by Bundestrainer Joachim Löw as part of his 23-man squad for the World Cup finals in Brazil. Although remaining an unused substitute for the duration of the tournament, rooming with the likes of Mats Hummels, Thomas Müller and Philipp Lahm was an eye-opener for the youngster, and he more than played a part in Germany becoming world champions for a fourth time. Two years previously he had been watching his team-mates reach the semi-finals of UEFA Euro 2012 from his sofa, which for Durm must seem like a lifetime ago. As he told der Spiegel in 2014, "I wouldn't have made it this far if I'd not become a defender."